Come on in, y’all! I’m so glad you’re here! Here’s what I hope you take away from this little tour—sharing your heart and home with others is what’s important. Don’t let the decorating become the main thing. It’s there to serve and inspire your family and friends. It’s not a showplace to impress them. We live hard in our home and learned after our house fire that you don’t have to lose everything to feel your own poverty. Very few of things we fret over really matter. What lasts are the relationships we make, the love we give. Our home is a good gift from God that we can use to serve the people we love. Relax and enjoy it. Let your own style come through and don’t worry about THE RULES! Most of all, remember that Love has Come and He has left us His sign. 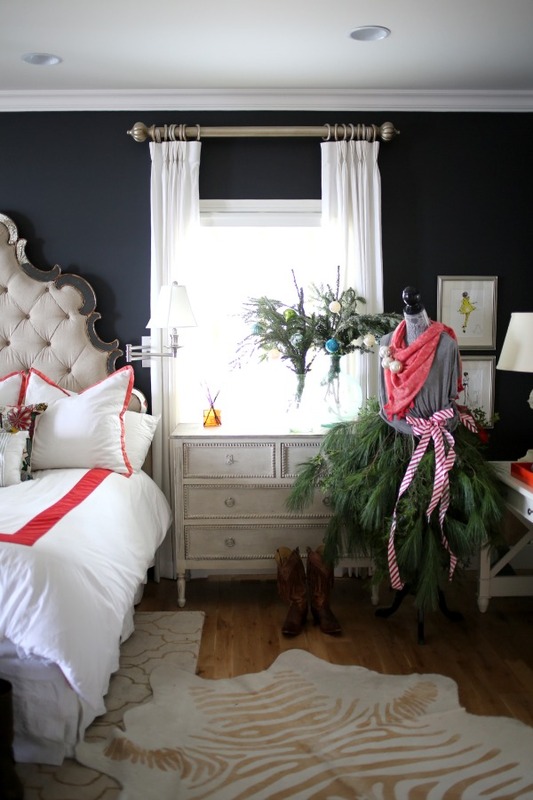 Enjoy my relaxed, preppy, Texas, Anthropologized Christmas house! Did you know that if you turn the lights off in your house, the color of your photos is so much better? I can do that everywhere, except this bathroom. With no lights on, the color is definitely better, but you can’t see my boxwood wreath very well. Scroll back up and look how yellow the pic is when the lights in the bathroom are on. It’s crazy. 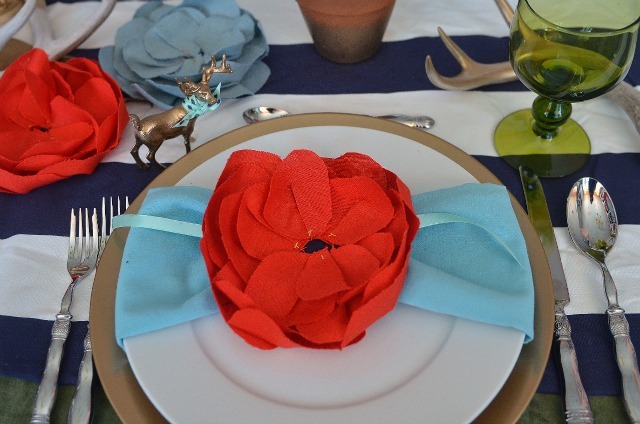 I had big intentions of making enough of these red linen flower pins for each place setting at the table. Then, the ladies could take one home as a hostess gift. That may not happen, which is a crying shame. But, a girl must know her limits. 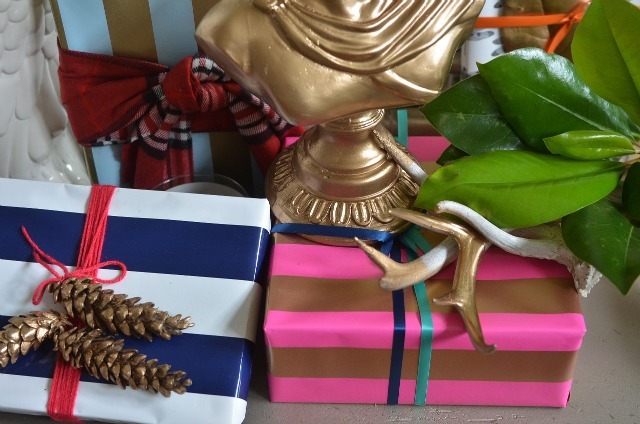 I used colorful, preppy wrapping paper from TJ Maxx, that can be used all during the year. I love mixing that with natural elements, for a unique look. My bedroom was the original home of the mannequin, but I’ve since moved her to the living room. Stevie may or may not be pleased with that move. 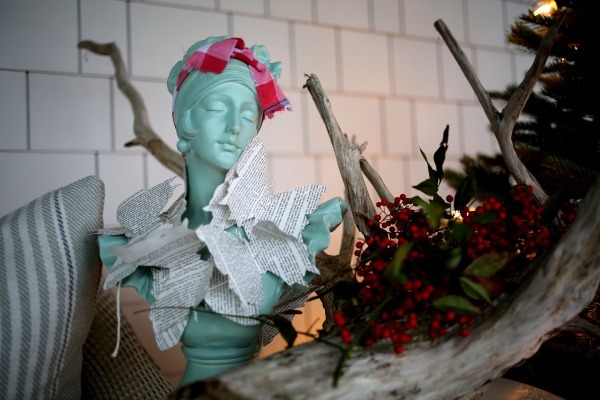 I posted about the bedecked mannequin. Some of you question my sanity, it’s true. But, how can you not love her? 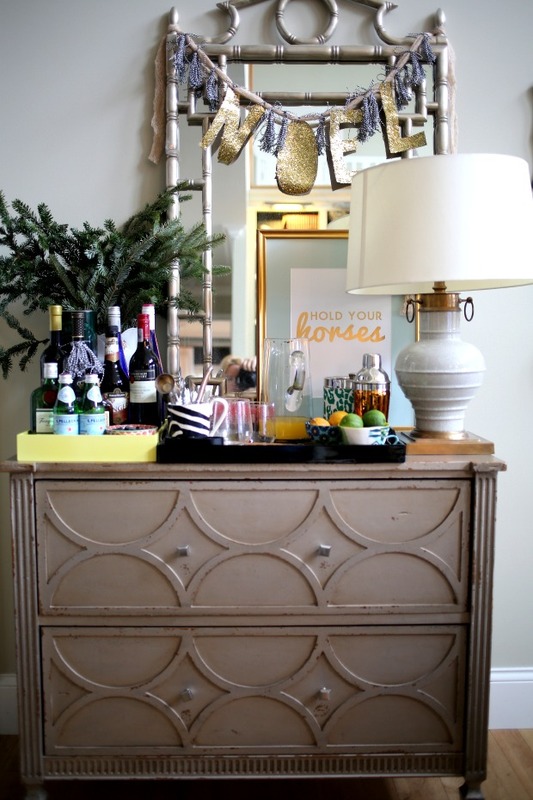 The bar “cart” is a fun little spot during the holidays and is often serving up mimosas with pomegranate seeds. I made the tassel garland using Nester’s inspiring tassel ebook and I hand lettered the NOEL sign, cut it out and glittered it with gold. 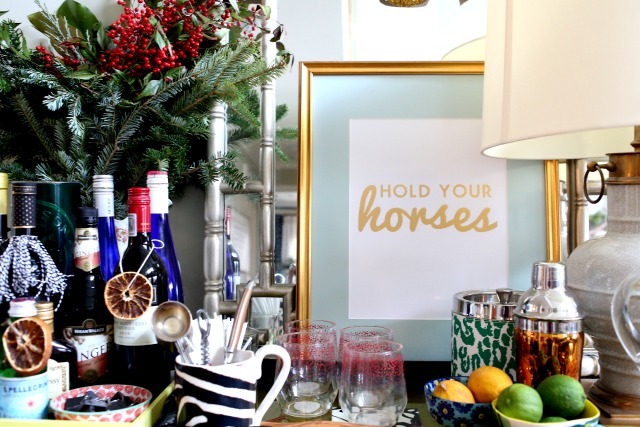 The Hold Your Horses sign is perfect at the bar table and is from Stephanie Creekmur’s shop. I took your advice and moved Mrs. Tumnus the mannequin into the living room. I don’t even think I need a tree, now? And I give you the quirkiest mantel in the history of the world. I’m like the Austin Texas of home decorators—I’m keeping it weird. Here’s what you’ll find of interest up there. 1) The folk artist that painted the chicken is Elea Wadsworth and this ain’t her first rodeo. She’s painted a chicken for me before and several people asked me about her work! 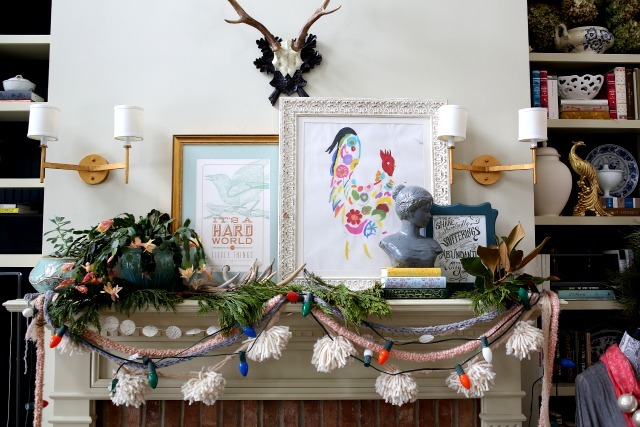 I had it framed at Hobby Lobby 2) I made the pom-pom garland after disassembling my pom-pom wreath from last year. 3) Emme made the finger knitted garlands for me in exchange for t.v. watching. 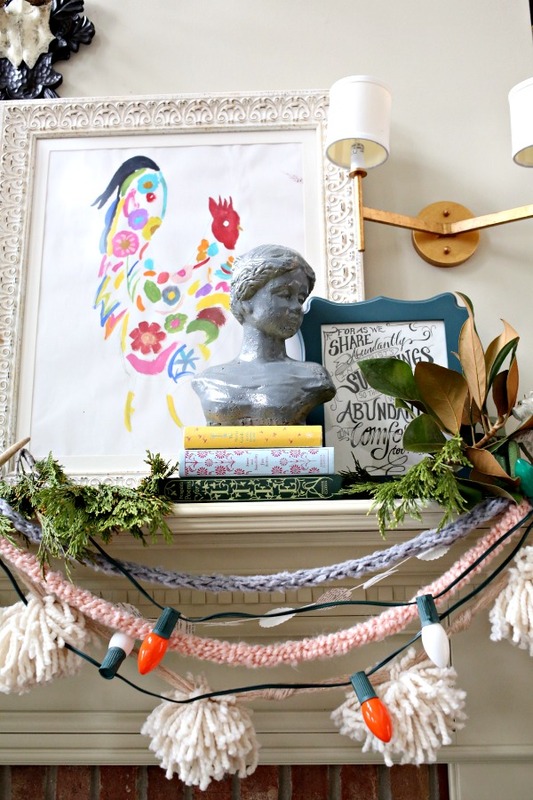 We’ve been finger knitting a long time, but Nester gave me the idea to use them for garlands. 4) Amy hand-lettered 2 Cor. 1:5 for me and surprised me with it at Allume. I LOVE IT, you talented girl! 5) The Christmas cactus is from last year. Turns out, I do know how to keep one alive. Forget it on your screened porch and notice it 3 weeks before Christmas when it’s budding out like crazy! If you haven’t asked for anything for Christmas yet from your children, ask for art. Or finger knitted garlands that you wear as a scarf. I keep my favorite afghan handy in the winter. This one was hand-knitted by my mother-in-law, who is the pie and afghan whisperer. The garden stool was a gift from my friend, Myquillin, after our house fire. I move it around everywhere. I’m sure it’s been in nearly every room of my house. 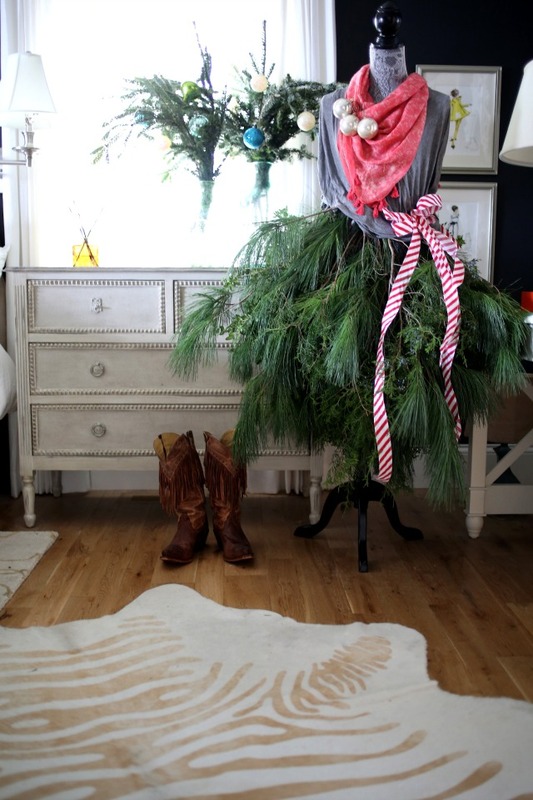 My MOJO when decorating for Christmas is fresh greens. Your trees and shrubs need trimmed and you need greenery. It’s a match made in heaven. 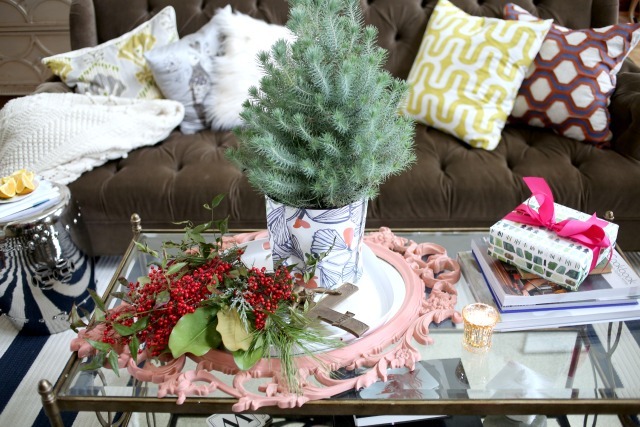 I copied the Knoxville Anthropologie by buying a few mini evergreens from Home Depot and wrapping them in Anthropologie wrapping paper. I LOVE them. So simple and festive. The guest room is calm and peaceful, with just a mini tree and some fresh greens by the bed. Caiti’s been home studying this week, which means I’ve been scratching my head trying to remember what hormones the posterior pituitary secretes. I think we’ll she’ll do well on her exams! This is her room when she’s home. I’m not gonna lie, we made homemade pizzas yesterday and this is the only part of the kitchen that will be clean in the near future. The pizzas were worth it. More pics of the kitchen, in its rare state of clean and not currently being used here. There’ll probably be fudge making in there today! I posted a December meal plan, so check it out and never fret at 5:oo again. 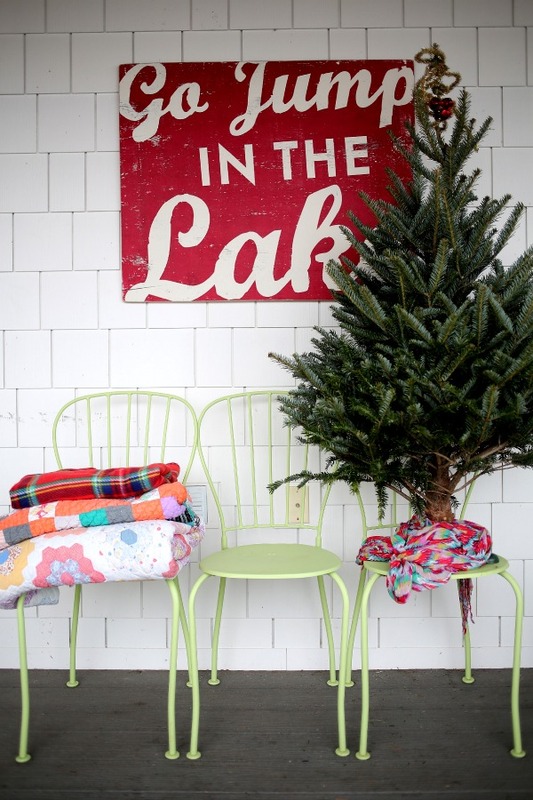 I think one of my favorite places to add festive touches is outside! Our back porch is where the fire place is so it gets used like crazy, especially in the fall and winter. And we live on the lake, so we like to invite folks for a swim! 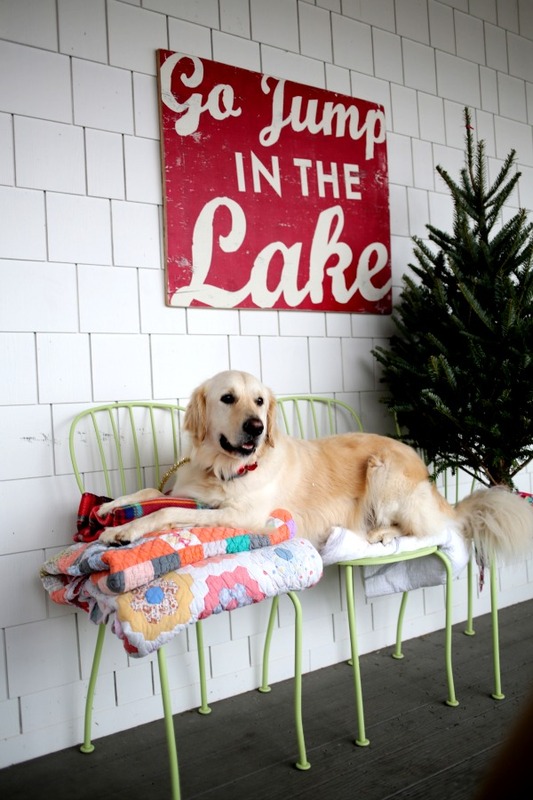 Here’s what happens when you give a dog a chair—he’ll take two. I adore the screened porch. We also call it the girly porch or the coffee porch or the where you drink drinks with whipped cream porch. I’ve decorated the porch tree in years past, but I just put a couple strands of lights on this time. Easy and festive. Otherwise, just some fresh greens from my yard. The girly porch is a great place to drink your warm drinks and read your Garden and Gun. Or just close your eyes and ponder things in your heart. Your big goofy dog will most assuredly follow you there and demand a seat on the comfy sofa. Hank and I want to thank you for coming on the tour! We wish you could join us by the fire for some coffee and treats! Hope you have a blessed Advent and a Merry Christmas. p.s. This former family doctor turned blogger, decorator, and writer has officially embraced the world and essential oils and they are BLOWING MY EVER LOVING MIND! 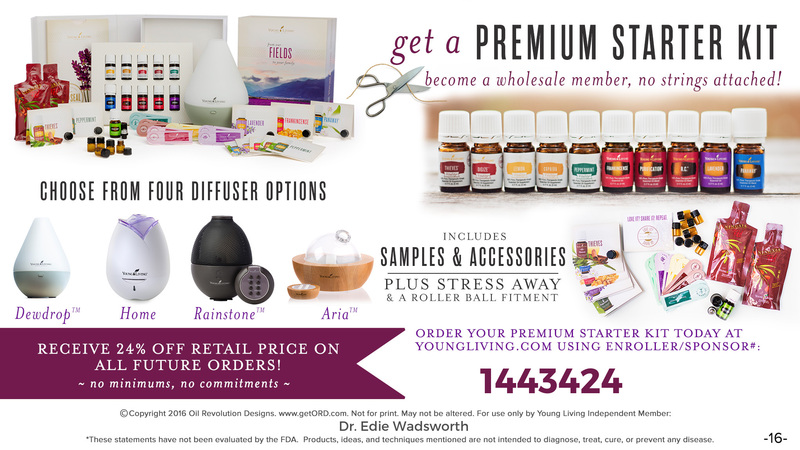 If you want to feel better, sleep better, ditch a bunch of toxins, and join the MOST FUN private FB group around, click here and join me on a journey of unbelievable wellness!! What did I ever do to deserve you in my life? I adore you and cherish your friendship. I’ve learned so much from you over the years. That you would be so kind to me over and over again? Makes me a little teary eyed. My house has little touches of you everywhere. Which reminds me? WHEN are you coming?!?!?!? Yes, I agree completely. Edie I think you’re the cutest thing! I love your fun & quirky home. It just seems like a great place to be, full of life, fun and inspiration. Thank you for sharing & the reminder that we are to enjoy our homes & share the love that’s in them with others, not strive to impress. I agree! I love it so much! It brings happy to my soul! Merry Christmas!! I totally agree with Nester!! Love you Edie and your beautiful spirit andby our home! You did it again, Lady. And you need to consider selling prints of sister’s rooster. AMAZING! Love love all of the creative use of fresh greens! I’ve been looking and looking for thick chunky yarn like the pom poms you have across your fireplace for weeks! Where do you find that natural, thick yarn? Thank you for sharing your festive, fun home, love it! I read your blog, but never comment. 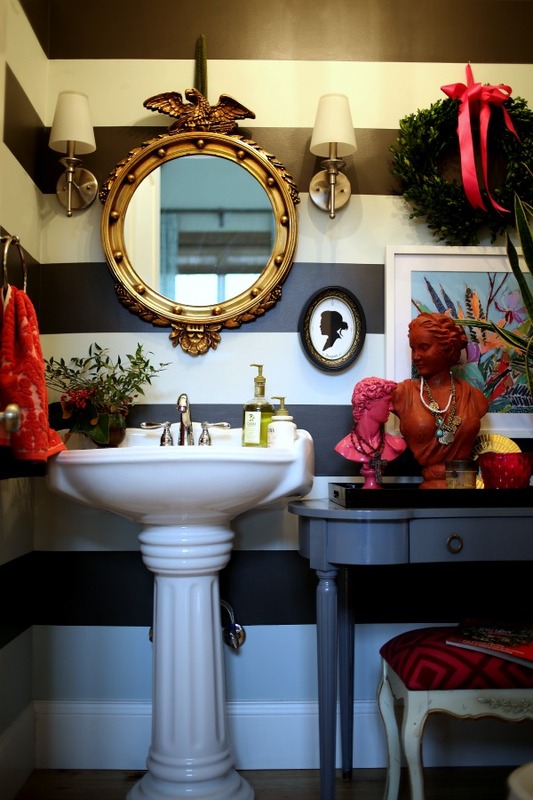 You and your home are such an inspiration Edie! I think Nester said is best with “layered, storied, colorful, alive”. What a treat! Thanks so much for sharing! what a fun and absolutely festive holiday home. love all of your little touches and details. Happy Holidays. Flawless …. as usual, sweet Edie! Love the layers, texture, and hidden treasures!! 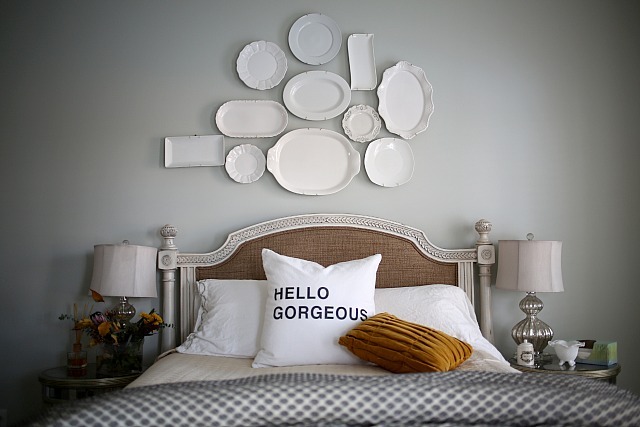 You have done an amazing job styling and decorating your home. It looks loved and lived in. It’s hard to believe its a brand new home because of all the character and charm! In my dreams, my house looks like yours. 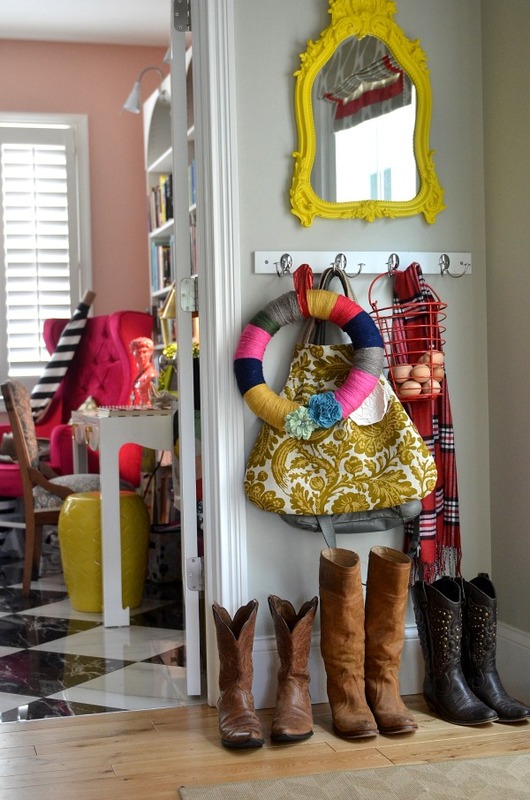 You have such a knack for layering and making your house look lived in but lovely! Everything is beautiful. 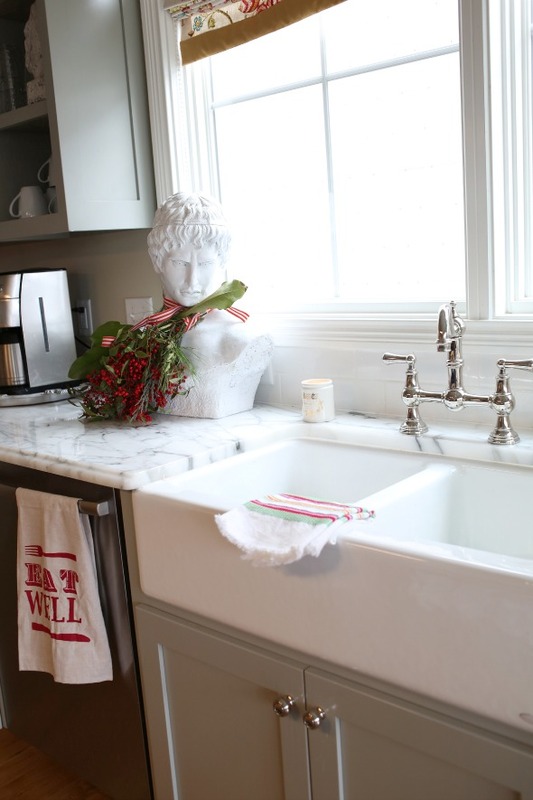 Love your mannequin no matter where she is residing! And that most wonderful Golden certainly deserves two chairs 🙂 Could you let us know how you did the pillow “hello gorgeous”? Thanks for the inspiration. Now this is what I’m talkin’ about! What an inspiration you are for me! You obviously decorate from your heart & soul, just as an artist creates art. The outcome is is such a warm, comfortable and happy home! Thank you so much for sharing your beautiful home! Blessings to you and your family for a Merry Christmas! It is FABULOUS!! Go on with your quirky self! Wishing you & yours a wonderful holiday and happy new year! I just love the virtual visits to your house. It looks great. One of my very favorites of the season. You make me want to buy more stuff to put more stuff in and on. 🙂 Merry Christmas! You’re such an inspiration and I love your creativity! Thanks for sharing. I love your style Edie!! Now…it’s not my style…but I truly appreciate your creativity and your flair! Small bits of it might rub off on me though….just sayin’! May your Advent be filled with wonder and awe! I’m like a kid in an eye candy shop. Love every little fun detail you give us to enjoy:) Love you, friend! A merry Christmas season to you all! An antique store in Greenville, TN! They’re pretty awesome, despite what my family says!! Hey there, I am a small town Texas Gal myself. 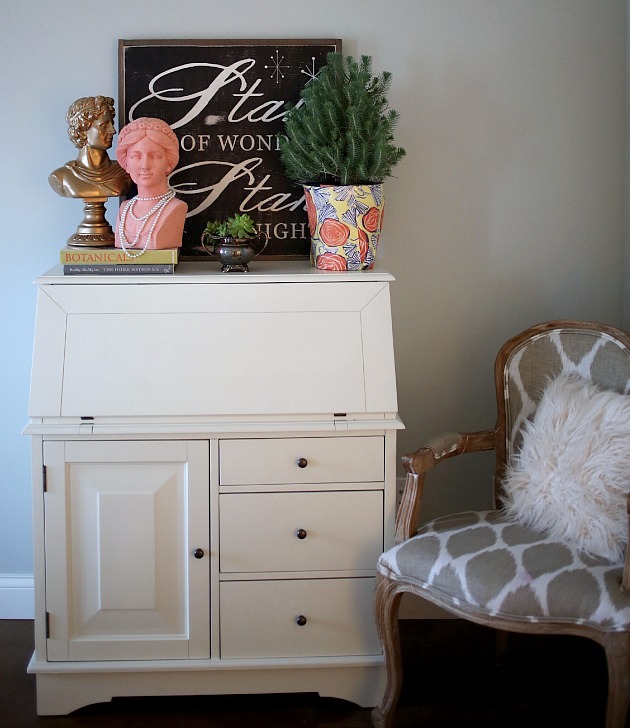 I just found your blog by way of the home tour. I am going check back often with a glass of sweet tea at hand. Love what you are doing. Have a blessed holiday and New Year. Awwww, yay! Come back anytime, darlin! Now if only you lived in Texas and could come do that to my house. 🙂 Simply gorgeous, just like you! It’s a shame I’m not a Texan. I’m more of a Texas than a lot of Texans, actually. Being from TN is almost the same thing though?! p.s. I’m already wondering when I’m gonna see you again!??!?! Your house is beautiful! Love all the mannequin heads 🙂 Where did you find them? OH, you doll. I LOVE a good Christmas tour myself. As I was uploading photo number 25, I asked myself, “Do I have too many photos?” The answer for me is there’s no such thing! And thank you for the love. Thank you, Robin! Maybe I’ll add a few kitchen photos when I actually get my tree up! We don’t really have room in the living room, so it usually goes in the kitchen! i love each and every thing. especially hank. melts my heart. He’s a doll baby. A stinky doll baby, but a pretty awesome pup! i look forward to seeing your house at Christmas so much! i don’t think anyone will be able to say it better than nester! your home is layered and textured and it tells a beautiful story. there really aren’t many who can pull off texas, preppy, anthropologized. Be still my color-loving heart!! I think you and I are soul-sisters…color explosions in our Texas houses! yeehaw!!! Loved every single detail in this tour…it’s been to be a part of this tour this year! Christmas came early today, and it was a tour of your house! Thank you for this. Such a treat. Ohhhh I love your purse. Do you mind sharing where it’s from? I LOVE Austin, Texas ~ after all, I’m a native of the Lone Star State! 🙂 I’m in the DFW area though. I also love Anthro and your blog! 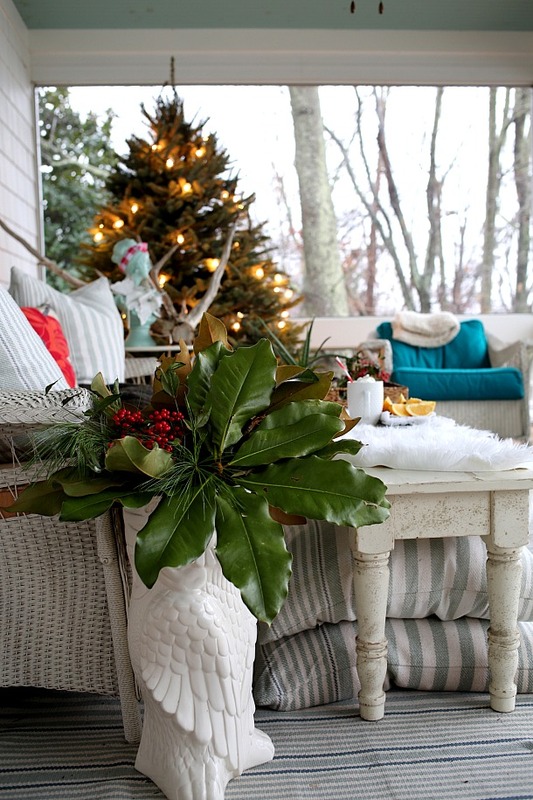 I so wish I had the magic touch that you do for decorating ~ love, love your home and of course, the porch! I’d love to sit out there with something to drink and just relax. You have so many beautiful things Edie. It feels well loved and cozy. I could look at everything in your home for hours! Thank you so much for sharing your fantastic home there are so many interesting things to look at, I love how you put different items together. You have inspired me to look some of my comfortable pieces in a new light. I love, love, love the brown sofa where did you find it? 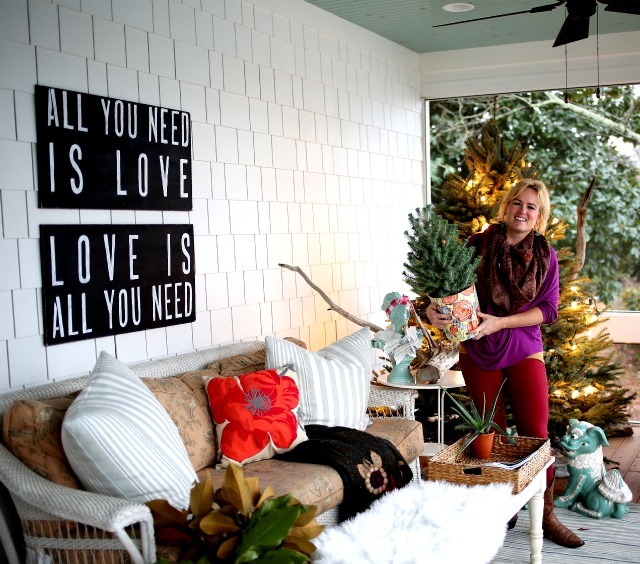 i am 100% completely madly in love with your home in all it’s christmas splendor. thank you so much, Edie!!! it’s almost too good to be true! such beauty & gorgeous treasures. I shared you on my blog and linked to this post, hope that is ok…I lost touch a while ago after the house fire…that was such a sad time…I ran across your link today and was so happy all is well and wanted to thank you for the perspective you gave me…making me think about what was important…I appreciate that. Adore! Great job and love all the pics…as always! OH.MY.GOODNESS.GRACIOUS!! That mannequin is the BEST!! She is quite adorable…my tween would LOVE her. I wish I could join you for something warm and yummy on that porch! Swoon! Merriest of Christmases to you and yours. Such fun. I can hear your voice in my head throughout the tour. 🙂 Loved it and love you, friend! This was seriously inspiring. Not just for Christmas, but it made me want to put more effort into decorating and loving my home all year. Love, love. Love your home but so glad to see StitchFix is getting better with your style. My first two were meh and I’m hesitant to do a third but I have credit! Love, love, LOVE your house!! 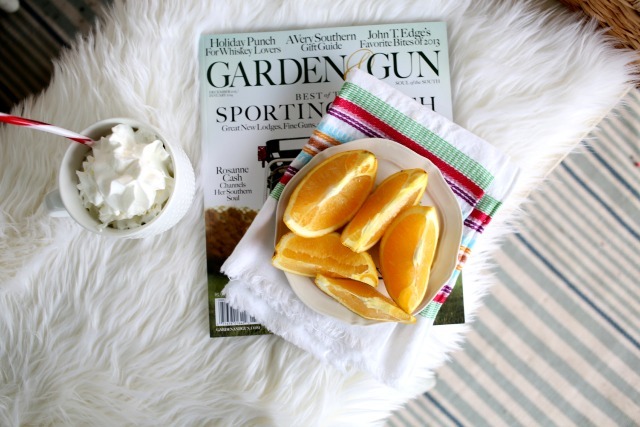 I found your blog through Nester and definitely adding it to my list of daily reads! Edie, I’m over here for the first time via The Nester’s place – and she was so right. 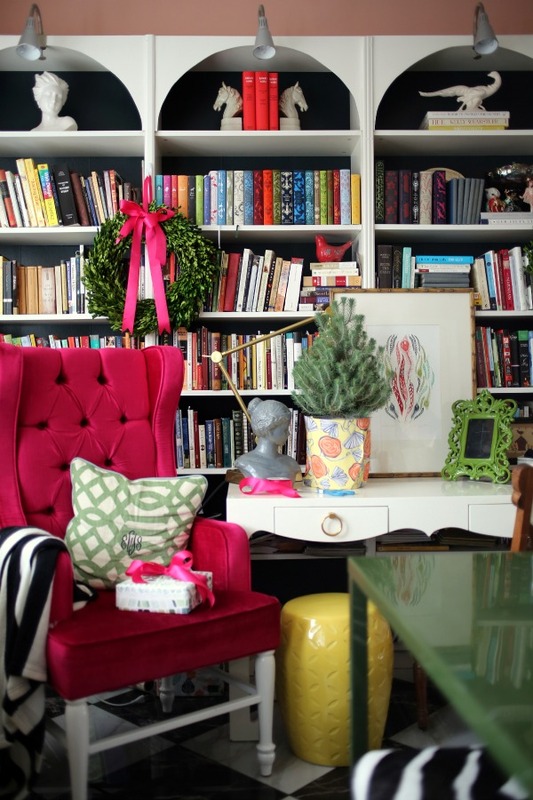 You’re home is the business – you decorate decorate like a boss! WOW. Favorite tour of all the Christmas tours in blogland. You’ve got great style! LOVE!!! OMY goodness!!! The owl vase, or umbrella stand…can I have it?? ?lol where can I get it?? I love owls, you didn’t mention the source?? 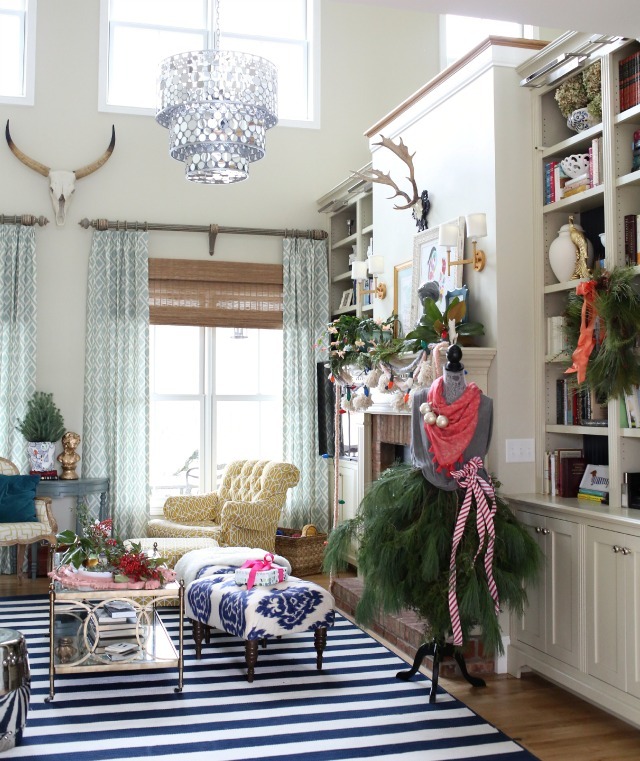 Edie, your home looks as if you went through every room and touched it with your magical Christmas wand. I enjoyed your home tour thoroughly! In fact, I’m saving this post so everyday between now and Christmas I can re-visit your perfect Christmas luxury to keep my spirits bright! The most stunning house I’ve ever seen!!! If I could decorate my house EXACTLY like yours I’d be the happiest, old girl in the world. I’ve looked at your photos several times. Beautiful home and scores big points for originality. Loved the mannequin and your beautiful dog resting on the chairs. Thanks for sharing! If your house could have a title, it should be “A Heart Revealed.” I adore all the special touches you create to form the backdrop for your hospitality. Bravo indeed! 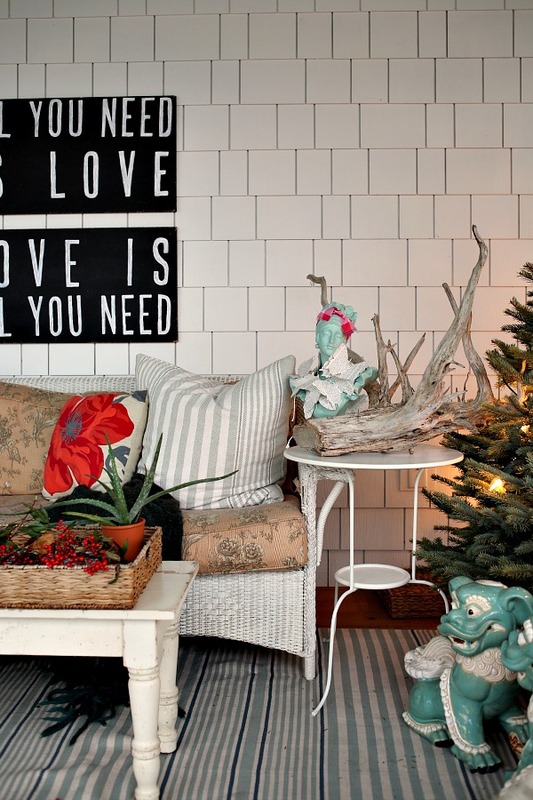 Gorgeous,whimsical, warm and fun. Just a few words that come to mind about your home. Thank you for sharing, you are inspiring. And I need a head statue now. Yeah……I’m gonna need one of those rooster prints. Oh how I love your home tour, it just feels cozy, comfy and perfect:) There are so many pieces and ideas I can take from this tour, but the chicken print is a MUST have!! 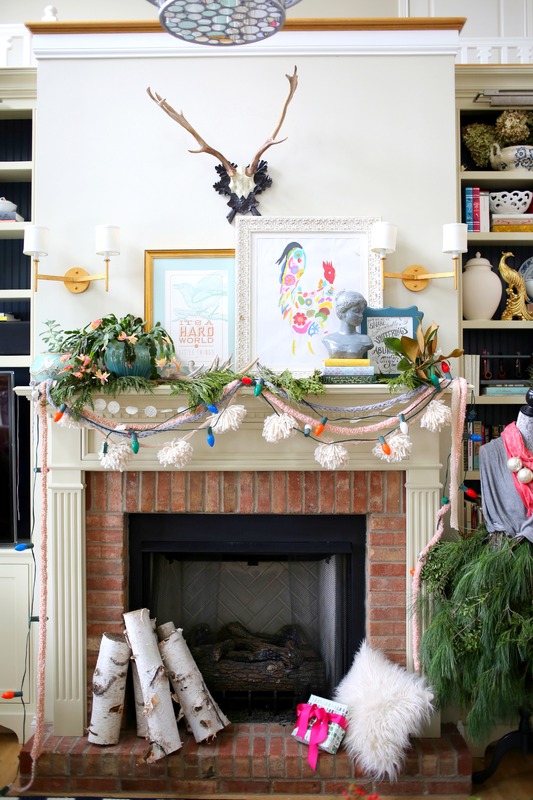 So perfect and I’m trying the pom pom wreath this weekend with my daughter, wish the non crafty girl some luck:) Merry Christmas! Your house looks beautiful! 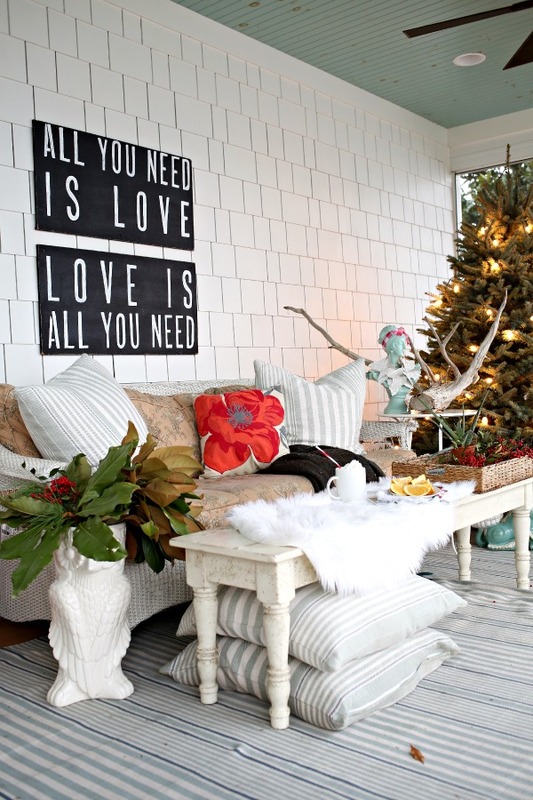 I love the fun Christmas decoration, it seems to fit right in with your style. Thanks for the inspiration! I remember seeing you in Better Homes and Gardens magazine so excited to have found your blog! I am a new follower. Have a great day! LOL! This fellow Texan loves that you went all Austin, TX on your mantel. And I don’t know where you’re located, but if we’re anywhere near each other then I’d love to join you on that girly porch of yours. I love that the afghan and side table are paired up…lots of sentimentality in that one little spot. How special! Great tour! thanks for sharing. This mayhaps be the dumbest question of all commentdom, but are those real logs propped on the fireplace? They are so pretty! I’ve been wanting some pretty ones too, but all I have around my house are a bunch of pine trees. Sooo, did ya cut those or buy them? And if purchased, what’s your source? 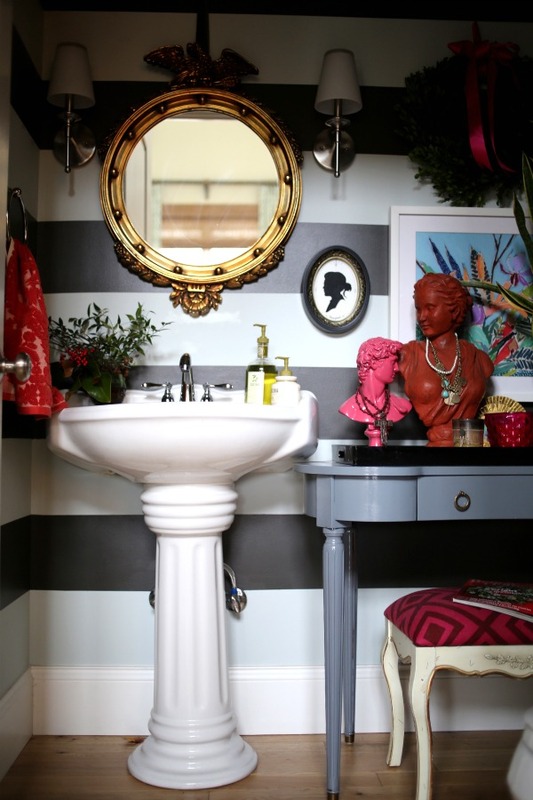 Your home just oozes FUN eclectic CHARM, love your one-of-a-kind style, Edie!!! I love your home! It’s so stylish but welcoming. Merry Christmas! p.s. I also love cowboy boots and C.S. Lewis. Can’t go wrong there. Well, what can I say? Nester already said it all anyway! 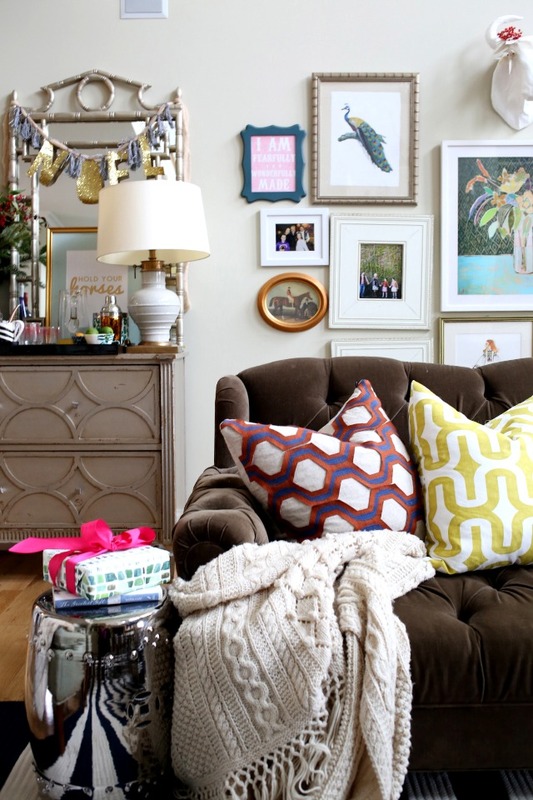 I love your eclectic, layered home! Merry Christmas! Your home is so eclectic and wonderful! It’s gorgeous and Iove your sense of fun! Glad I found your blog. I love Mrs. Tumnus! Merry Christmas! Your home is amazing!! a true work of art. I love your aesthetic and your Christmas decor is fabulous, especially that mannequin. Amazing!! Every nook and cranny!! Merry Christmas!! Edie… I just found your blog via Nester and oh. my. goodness. I could just stare at every picture forever. There are just so many interesting things to find in every shot. I saw a couple people describe your style as “layered” and it’s so true! How gorgeous it all is! Edie, I love you and your house. Thanks for the visit! How do I sign up for your newsletter? I love your design style! !